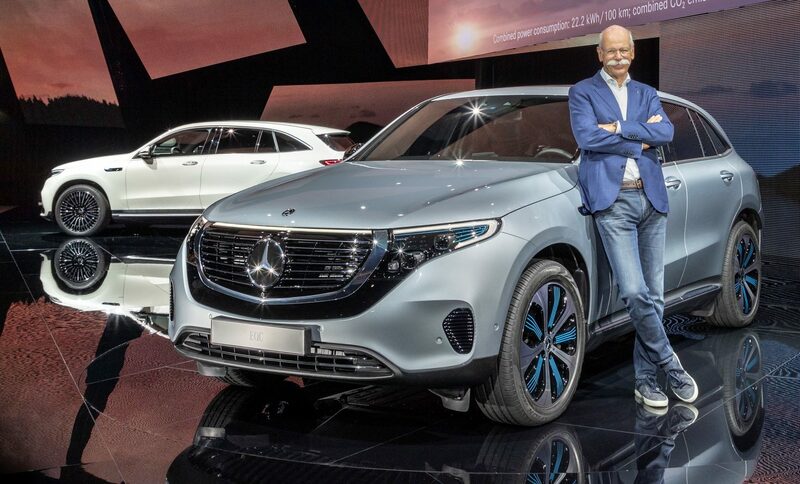 Just weeks after taking the wraps off the Mercedes-Benz EQC, the German automaker’s first all-electric vehicle that’s expected to compete in the same segment as the Tesla Model X, Daimler has confirmed that CEO Dieter Zetsche would be stepping down from his post. Zetsche, who has been with Daimler for 42 years, will return to the company and chair the supervisory board in 2021. Daimler’s appointment of Källenius is considered as part of the company’s push to appoint a younger set of leaders that can effectively carry the company forward in a changing automotive landscape. Among these changes is the emerging wave of electrification, which is pushed by upstart electric car companies like Tesla and embraced by veteran carmakers like Porsche, which recently announced the cancellation of its diesel-powered line. In this light, selecting Ola Källenius to succeed Dieter Zetsche seems to be the right direction for Daimler. Källenius, after all, is noted for being one of the company’s executives who pushed for the development of 10 electric vehicles that are planned for release. The Mercedes-Benz EQC, unveiled earlier this month, is the first of these vehicles. The younger executive’s background is unlike Daimler’s other CEOs,’ considering that Källenius’ experience is not on engineering, but on finance. His experience is vast nonetheless, with stints in both McLaren Automotive and AMG, Mercedes-Benz’s performance-oriented sub-brand that grew and evolved under Dieter Zetsche’s leadership. Daimler’s first foray into electric vehicles, the Mercedes-Benz EQC, is a premium SUV that would compete directly with vehicles like the Tesla Model X. In the EQC’s unveiling, Daimler CEO Dieter Zetsche announced that the vehicle kicks off the company’s $12 billion push towards the development of electric vehicles under the EQ brand. Zetsche also noted that Daimler would be investing another $1.2 billion in global battery production to support the growth of the company’s electrified offerings. The Mercedes-Benz EQC features several compelling features that make it a contender in the premium electric SUV segment. It is equipped with dual electric drivetrains at each axle, which generate a combined 402 hp and 562 lb-ft of torque. Thanks to its electric motors, the EQC can sprint from 0-60 mph in 4.9 seconds and hit a top speed of 112 mph. The SUV is also equipped with an 80 kWh battery, which is expected to give the vehicle a range of over 200 miles per charge. That said, Mercedes-Benz noted in a later update that it would adopt a gradual rollout for the EQC, to ensure that warranty costs for the vehicle don’t spike when customers start taking deliveries. Mercedes-Benz head of production and supply chain management Markus Schaefer described the company’s rationale in a statement. “We want to be sure we deliver Mercedes quality from day one in all aspects, and we have to watch the warranty side for customers as well. We don’t want customers ending up at the mechanic later. Slowing down the ramp-up is a tool to make sure we do it right, to address all the unknowns that an electric car brings,” he said.